Day tour 8 Hours starts every day at 8:00 am, Private tour includes, pick up service from your hotel in Alexandria and return, Professional English-speaking tour guide, Entrance fees to the mentioned historical places, all transfers by a modern A/C vehicle, Snacks Bag that includes (Can of Pepsi, Chips, Bottle of water, Cake) and All service charges & taxes, Tour excludes Personal expenses, tipping and Optional activities. 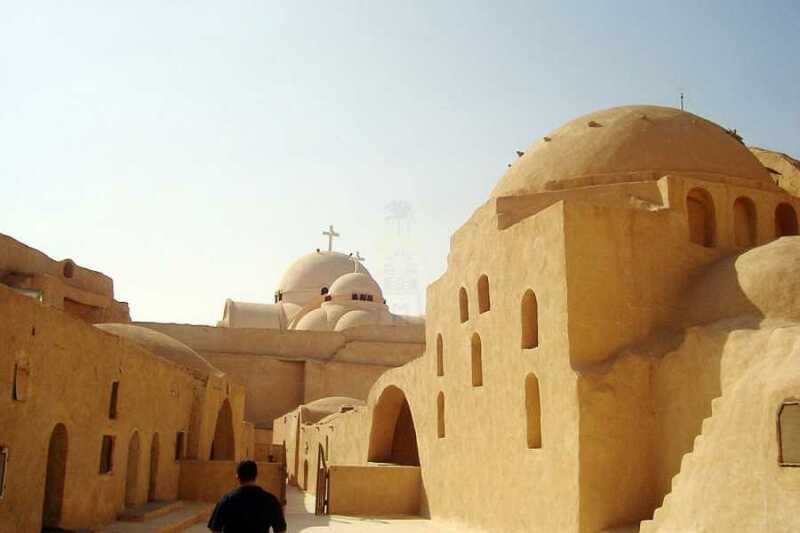 At 8:00 am Pickup from your hotel by our expert Licensed tour guide then drive 120 K/M south of Alexandria to Wadi El Natrun desert area the actual birth place for Christian monasticism. Basically, there were about 50 monasteries, only 4 have survived into modern times. Begin your trip with Deir al-Baramus which is the oldest of the surviving 4 monasteries, and in many ways the most isolated, then proceeds to Deir Anba Bishoi whose body is still in the monastery. 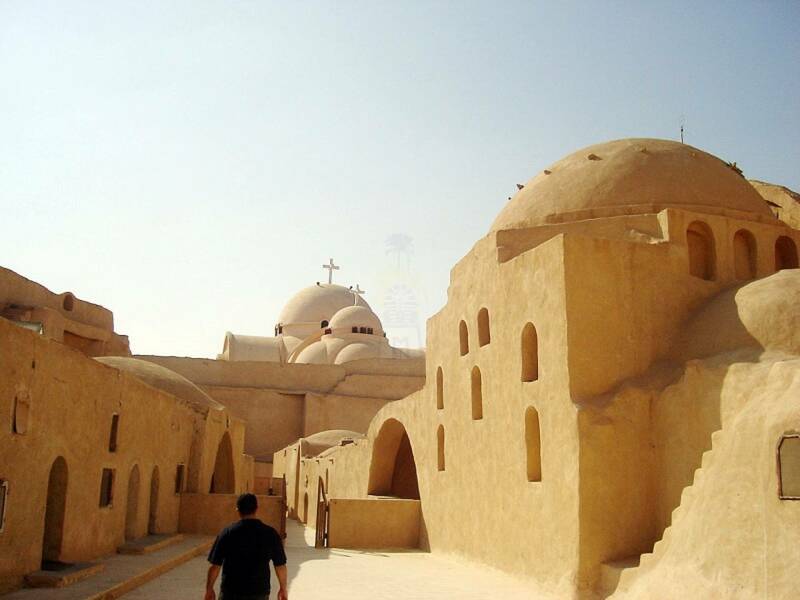 Continue your trip to Deir Abu Maqar which is the richest monastery now in Wadi El-Natrun, as it has more than 100 monks and 600 workers in the extensive farm which spreads in front of it.